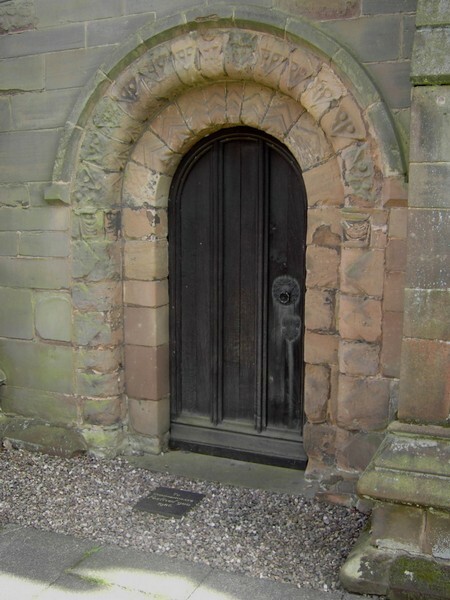 The Domesday Book entry for Northfield lists a priest here in 1086 and a round-arched Norman doorway survives from this period. 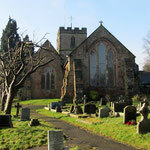 The chancel is in the early English style of the 13th-century, though much of the church dates the 15th century. The church's own website is at - http://www.stlaurencenorthfield.org. 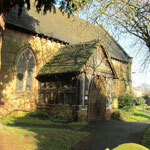 See also A Church near You - http://www.achurchnearyou.com/northfield-st-laurence/. You might also be interested in - A History of Birmingham Places & Placenames . . . from A to Y - Northfield - http://billdargue.jimdo.com/placenames-gazetteer-a-to-y/places-n/northfield/. 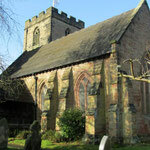 Northfield Church is almost certainly of Anglo-Saxon foundation, as a priest is mentioned in the Domesday Book in 1086. 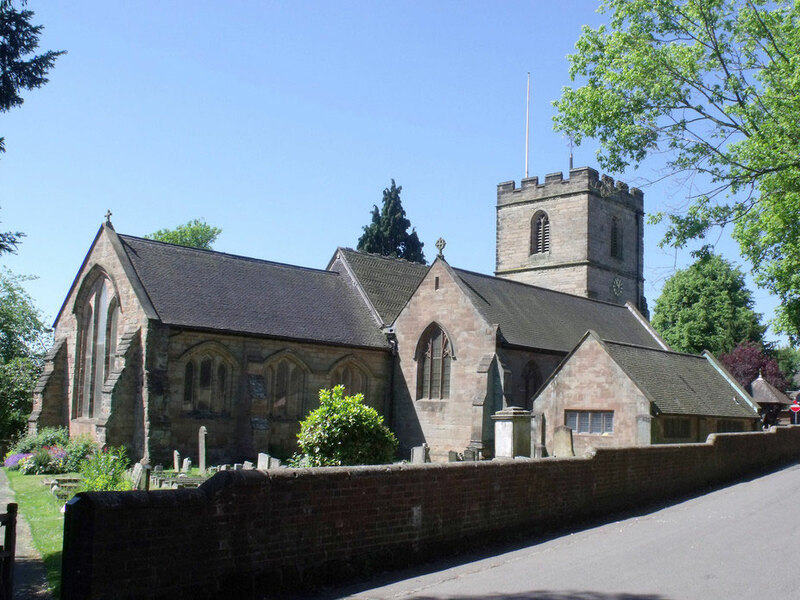 (A priest at Aston is also mentioned at Domesday.) 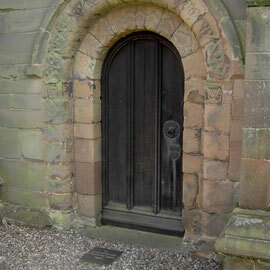 The earliest part of building is the Norman north doorway c1170 which was reset in the new north aisle wall in 1900. The round arch has a zig-zag pattern typical of its date. 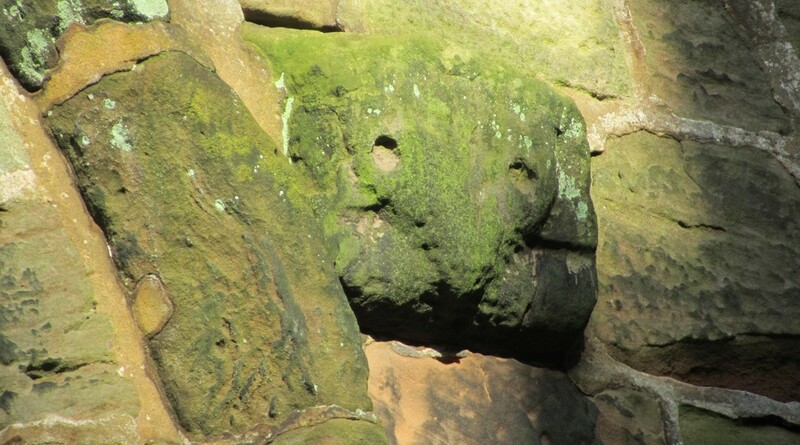 There are also two 12th-century carved heads on the tower which may have been reset there when the tower was built in the late 13th century. 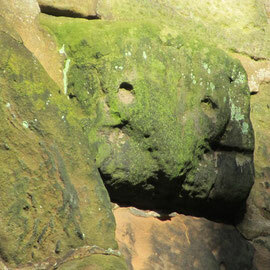 Made of local sandstone, they are now badly worn. 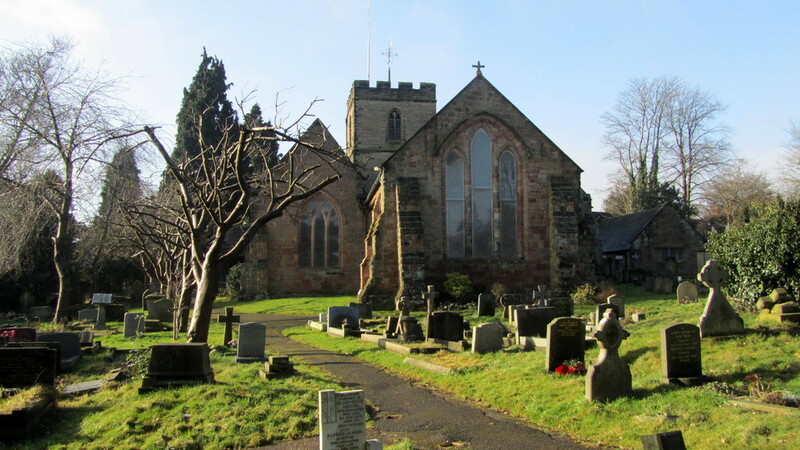 The Norman church was rebuilt in the 13th century and the fine medieval chancel still remains of that building. The chancel windows were filled with good stained glass in about 1850 by Hardman’s of Birmingham. At the end of the 13th century the Norman south aisle was rebuilt and the west tower was added. Only the lower stage of the tower is now 13th-century work. At some time during the 15th century, the arcade of the south aisle appears to have become unsafe and was rebuilt. The nave roof was also replaced and alterations made to the roof of the nave at the chancel. Unusually there is no stone chancel arch. Instead four separate but contiguous roof trusses act as the arch. Above the medieval tympanum is still in place, framed, wattle and daubed, and probably originally painted with a Last Judgement. The figures of the rood, the crucified Christ, the Virgin Mary and St John in medieval style were placed here c1900. Also during the 15th century the upper stage of the tower was either added or rebuilt. 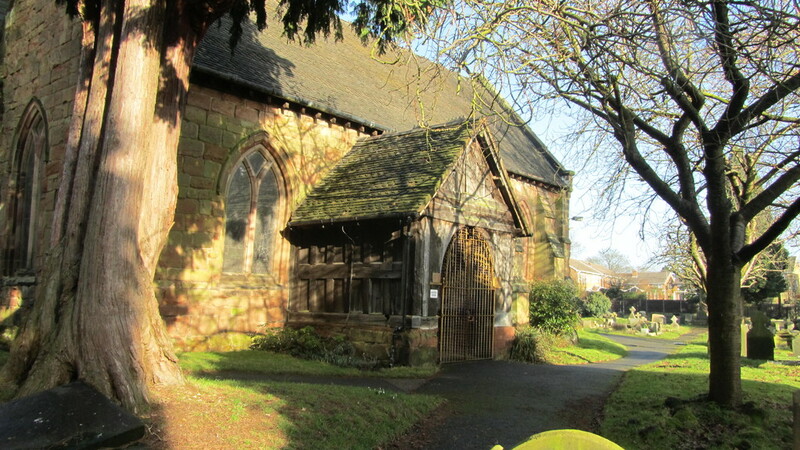 The south porch is of good 15th-century woodwork on a stone base and replaced an earlier porch of which evidence survives on the south wall. During the 18th century the structure of many Birmingham churches was significantly altered particularly by altering the pointed gothic windows to round-arched neo-classical ones. However, at Northfield the only alterations, although extensive, were internal. 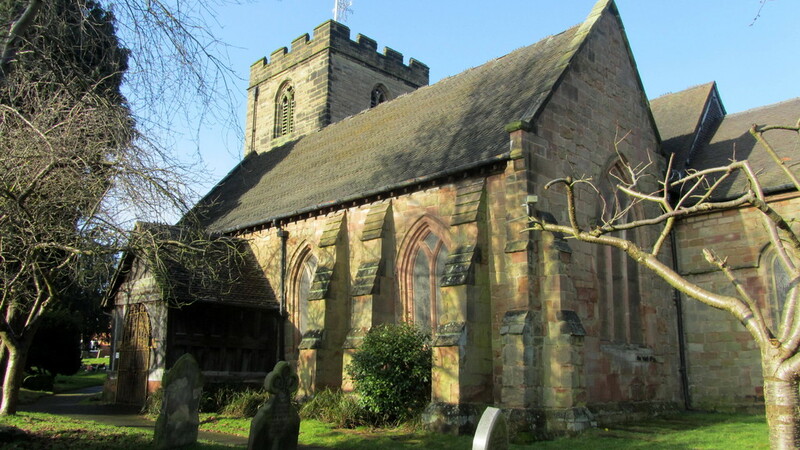 Plaster ceilings were put in place, box pews were constructed, memorial monuments filled the chancel and blocked the windows, the tower arch was blocked, and a gallery was built across the west end of the nave. The Hanoverian royal arms, which now hang in the south aisle, were placed above the tower arch. About 1900 all the Georgian internal fittings were removed and replaced with furniture in the Gothic Revival style. The flat Georgian ceilings were removed, the box pews were replaced with benches, the gallery was removed and the tower arch was opened up (This is now the bell-ringing chamber.). the monuments were removed from in front of windows, the chancel floor was raised and a new chancel screen was put in place. Some surviving 15th-century carved woodwork, probably from an old screen, was re-used in the pulpit and as a bench end. At the same time a new north aisle was created by replacing the north wall with an arcade. It was at this time that the Norman doorway was replaced from the old north wall into the new wall of the north aisle. The new addition was built in 14th-century style. A nondescript vestry was added on the north side in 1959. There were 3 bells here in 1552. In 1637 they were recast probably as a ring of 5 Thomas Hancox II of Walsall. Joseph Smith of Edgbaston recast the bells as a 6 in 1730. The bells were rehung in the old frame with new fittings by William Blews of Birmingham in 1875. The bells were rearranged to give a clockwise ring, having previously been anti-clockwise. In 1923 a completely new ring with scientific tuning was cast and fitted by Taylor’s of Loughborough. The present ring of 10 was completed by Taylor’s with the addition of two new trebles in 1999 when two trebles were provided. A new frame was provided, placed in the old ringing chamber with the ring converted to a ground floor one in order to leave the previous oak frame of 1637 in situ. and Church Bells of Warwickshire by Mike Chester - http://www.warksbells.co.uk/. 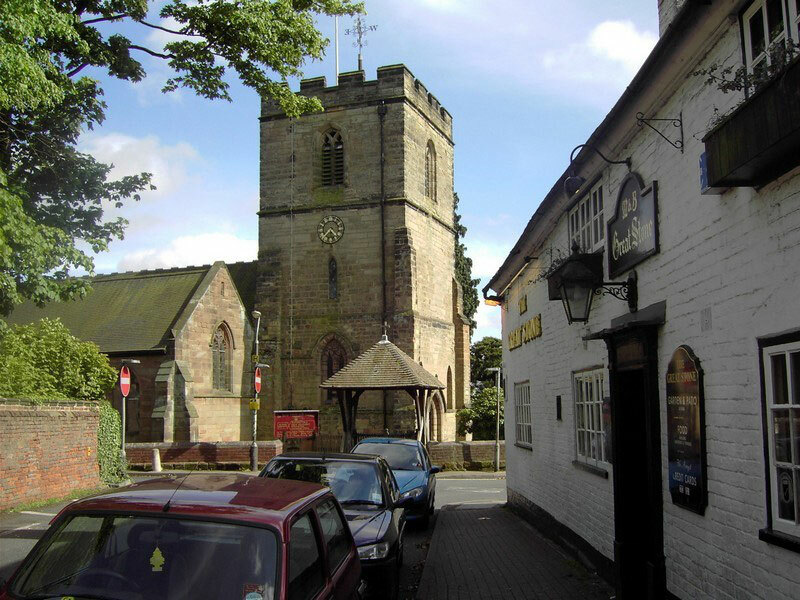 Historic England website - https://historicengland.org.uk/listing/the-list/list-entry/1075684.